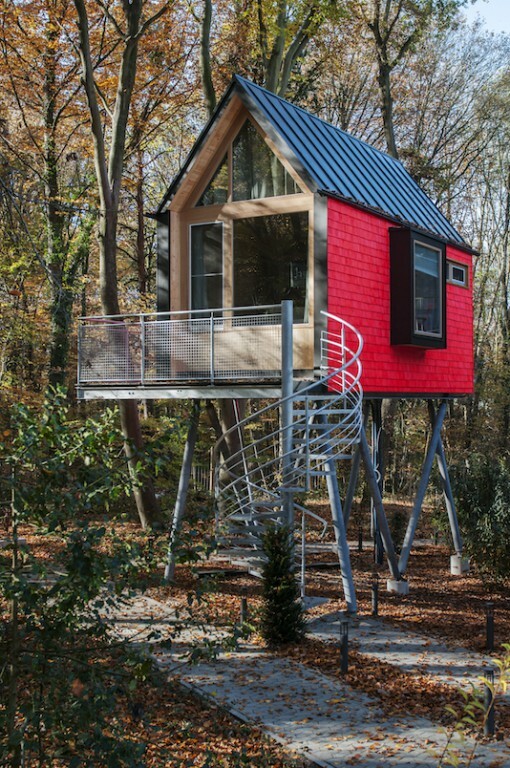 How about a recreative Easter-weekend up in the trees? 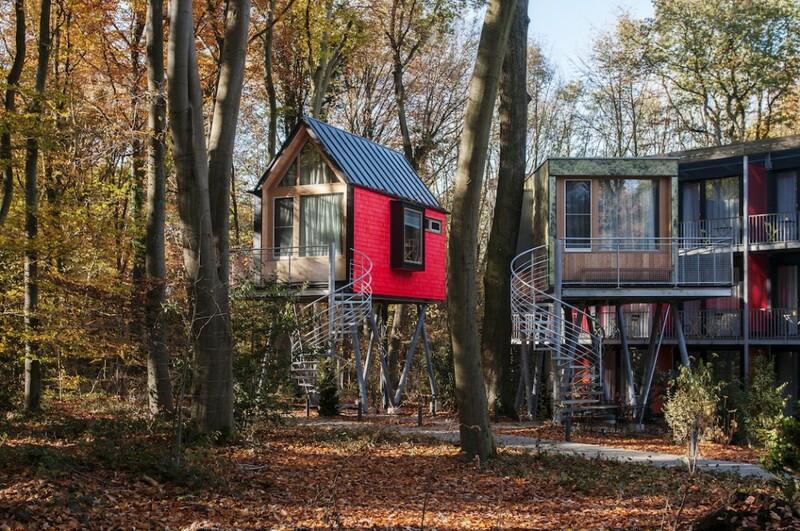 Just recently the V-Hotel Bonn on Venusberg opened the doors of its new annexes – three nifty treehouses named Rotkaeppchen (little red riding hood), Rostlaube (rust bucket) and Waldgeist (spirit of the forest). 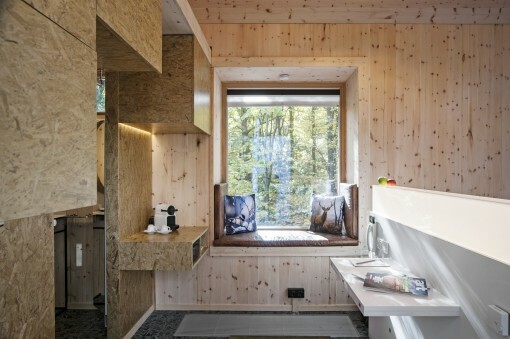 The special feature: stone pine wood, which was used for the build, is supposed to reduce the human heartbeat by 3.000 beats per night and bring your stressed souls a notably calm and recreative sleep. A novelty on the world market. The concept of Christina Voit and her father Harald Voit not only aims at stressed working people, ADHD patients or top athletes, but is for all who want to realize a childhood dream or just refuel overnight. We should actually check it out ourselves one day. 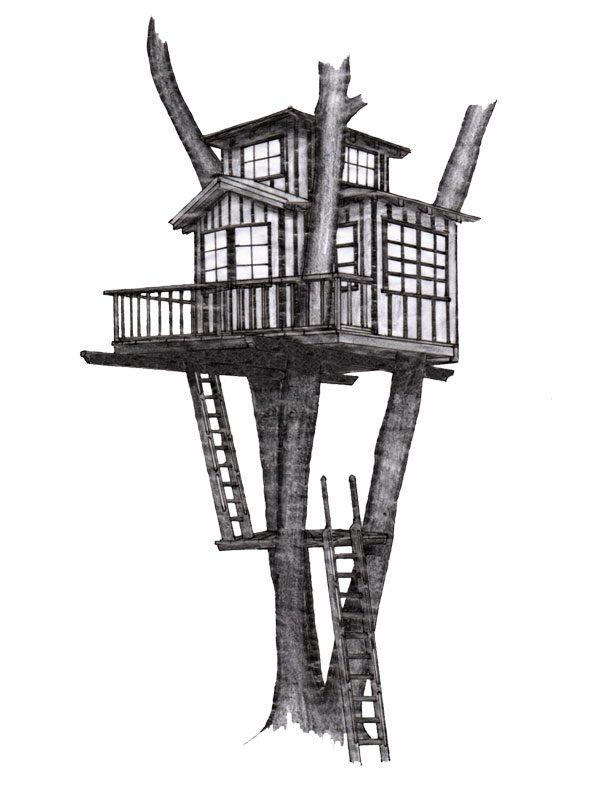 The three treehouses (215 sq.ft. each) are fragrant with stone pine and hover at 10 feet above ground. Each house has a balcony on which you can enjoy your breakfast in the morning sun and share it with squirrel and sparrow. 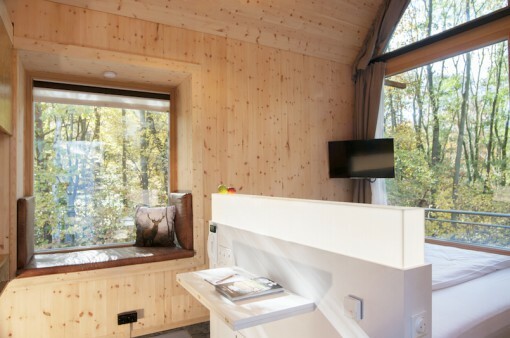 Looking through the huge window from the kingsize bed you won’t see the wood for the trees – and that’s a good thing here. The floor heating lets you walk barefeet also during cold temperatures and your toes will be happy about the natural floor covered with pebbles. You can cuddle in the cozy corner with pillows under the gable roof. 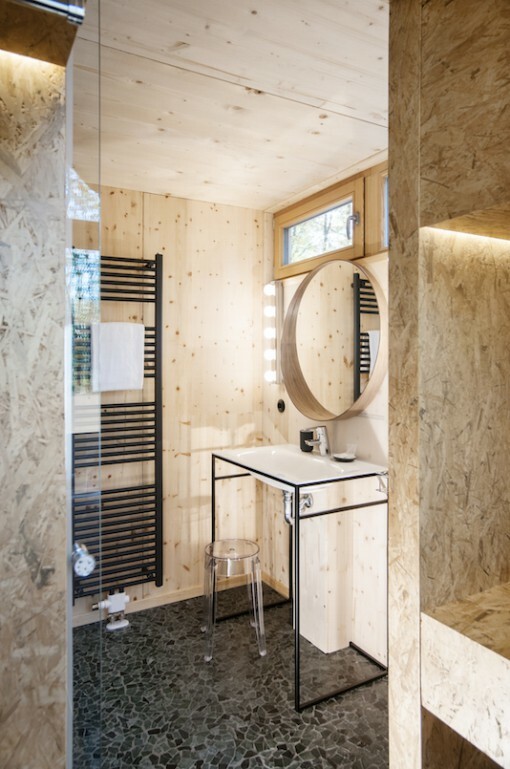 Whether TV, W-Lan, gallery or bathroom with spacious shower – the treehouses are equipped with everything a good hotel room has to offer. In the middle of the forest and only a short walk to the city center. So if you want to relax and recover, stop by here. Photos by courtesy of V-Hotel.